A demolished building that was at 2900 N. Oakland Ave. from 1906 through mid-2018. The building was demolished to make way for the 2900 Apartments. Two-story building had 4,596 square feet of space. 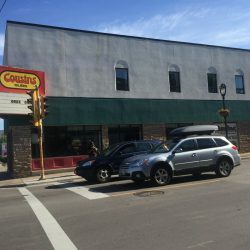 The last tenant was Cousins Subs.